← You’re Reading Harry Potter Again? For those of you local folks trying to make sense of the drama centering around Market Basket, The Clam wrote two great blog posts that I wanted to share with you (Thanks to my Scott for sharing). The first article explains both the crazy back story and history of the Demoulas Family (click here to read it). The second article explains why folks are boycotting the stores this week, employees are walking out and why shelves are bare. (click here). 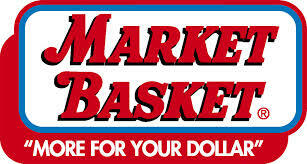 I am not a Market Basket shopper but have many friends who are. Despite not being a Market Basket Shopper, it is hard not to get sucked into this story and all that these employees are doing to stand up for their leader. I admire them for taking a stand and I am very curious to see how this will all unfold. Market Basket Strong!